Easy to use, flexible, and scalable, Drupal is an open source content management platform powering millions of websites and applications. Drupal is an open-source platform, meaning that all modules are free to download and are constantly being updated to reflect the latest trends and technologies out there. Drupal is a perfect solution for technical and non-technical users alike. The content management system (CMS) is extremely powerful and flexible allowing users to easily add pages, menus, files and edit and format content. With over 20,000 modules, your Drupal site can grow and change to meet your every goal. At CommonPlaces, we are recognized for our long history with this CMS and are proud to be named one of the top 10 Drupal Developers in the US. Our Drupal solutions include creating responsive design, user experience, custom integration, and custom Apache Solr implementation. Since 2005 we have created everything from award-winning enterprise solutions, such as Greenopolis, to small and mid-market corporate sites like Power-One, to large associations like Intuit and the Council of Residential Specialists. There is a strong Drupal community, so you can leverage the work of thousands of Drupal developers when working on your website. 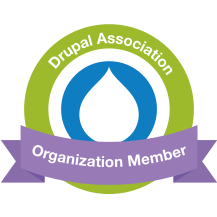 And learn more about building a Drupal site for your organization!